Recently, a reader asked to see pictures of my Louisiana home. Since we, citizens of the US, are accustomed to sharing of all aspects of lives online as well as simultaneously obsessed with preserving privacy and security, I had to consider what I was willing to share with the dozen or so readers who occasionally poke into this neglected corner of the blogosphere. It’s quite the conundrum. When I lived in Honduras, I felt confident that almost no one could find my address even if I had posted the physical address. I shared lots of details of my daily living arrangements from those years in Tegucigalpa, Honduras, which was a a labyrinth of streets, mostly nameless and numberless. 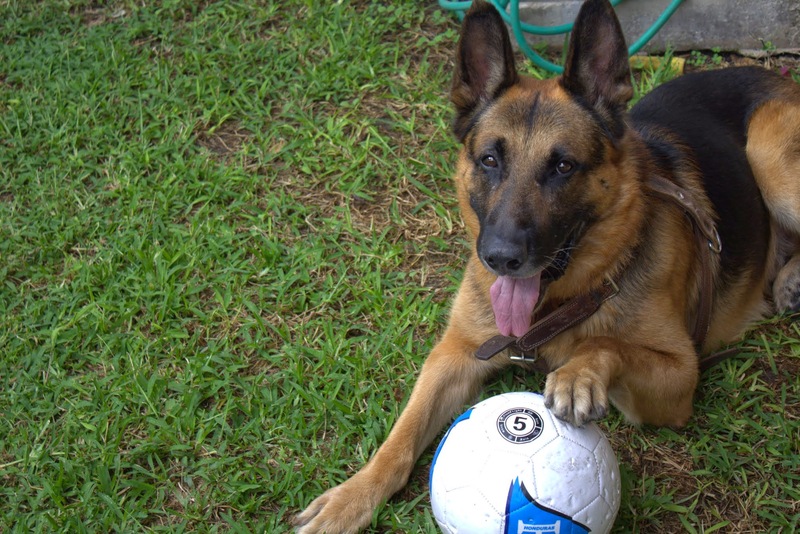 If by chance, you happened upon the correct house, one would be greeted either by high windowless walls or a wrought-iron fence that was guarded by my German shepherd, whose enormity, fierceness and loud tenor caused most to move quickly and quietly away from my home. Okay, enough dithering. Here’s the tour, albeit limited. As in the semi-tropics of Honduras, Louisiana is warm most of the year. 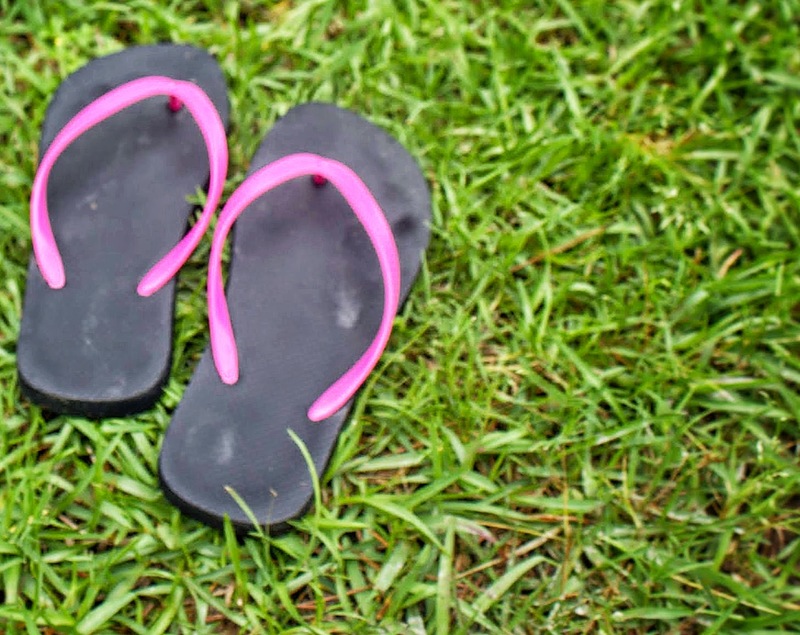 It’s much wetter than Tegucigalpa, so plastic sandals are a must. After donning sandals, we proceed to the backyard, where newly poured cement has been laid. The capped post will serve as a foundation for a clothesline. 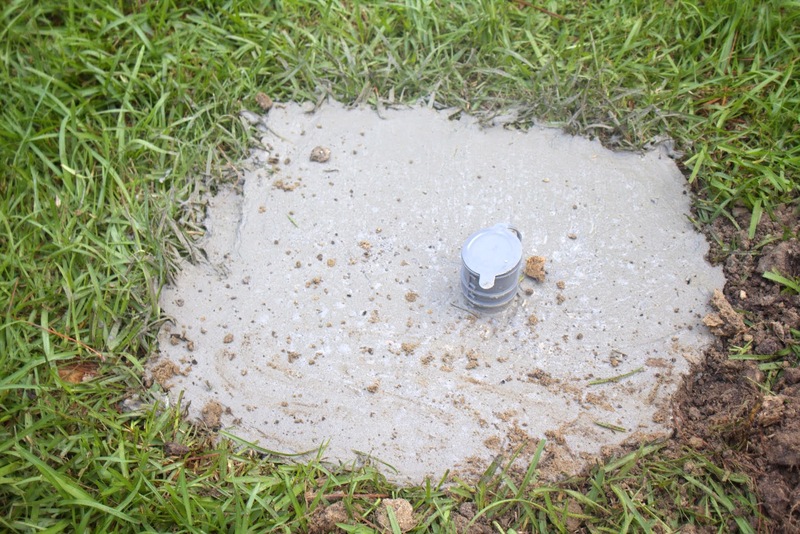 The cap will keep water from filling the foundation, as poles and lines need to be removed during tropical storms and hurricanes. 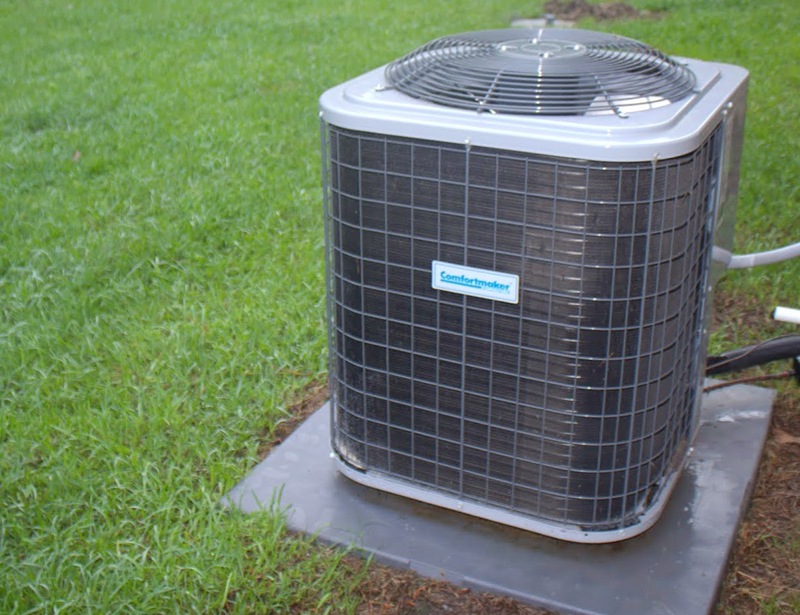 Living in the southeastern US means central air-conditioning and heat is a necessity. The climate is quite intemperate, save for a few days in early April (already too late – don’t come, I am warning you) and one day in October is often quite nice. I have a well in my yard, too. It’s a fancy system with a separ ate filter alongside, that flushes through the black line in the picture every third day. My water quality is excellent. There are a few creatures in the ‘hood too. This crawfish is dead, an offering from the neighborhood heron population. They eat tails and leave the shells on posts, mailboxes and the like. 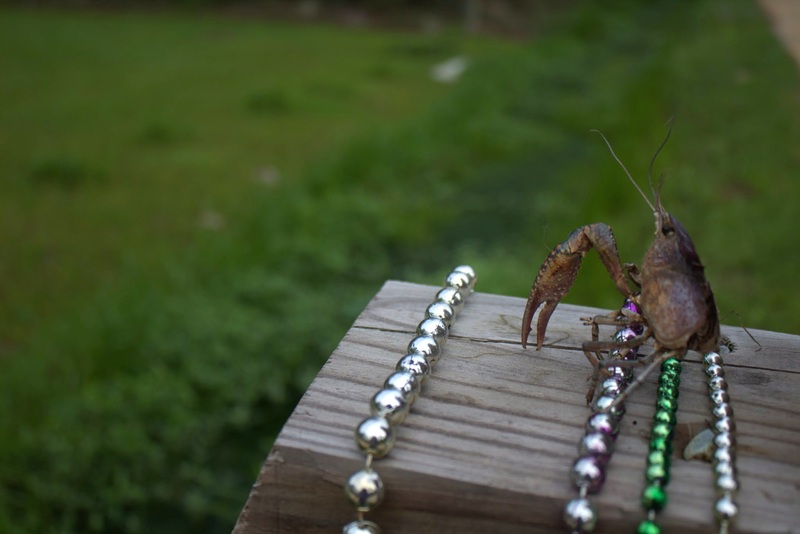 My neighbor left Mardi Gras beads on her mailbox, which the herons take as a signal that shellfish are welcome. BuBu, aka Iggy, is still around. Louisiana’s climate is wreaking havoc on his immune system. He’s been inside for almost 2 weeks, due to his nearly constant sneezing, coughing and scratching. My office is my favorite room in my new home. I don’t care for wall-to-wall carpet, but the bedrooms came that way when I purchased the house. The rest of the house is wood or tile. The beautiful cottage below is not my home. * It is an actual house in my village. 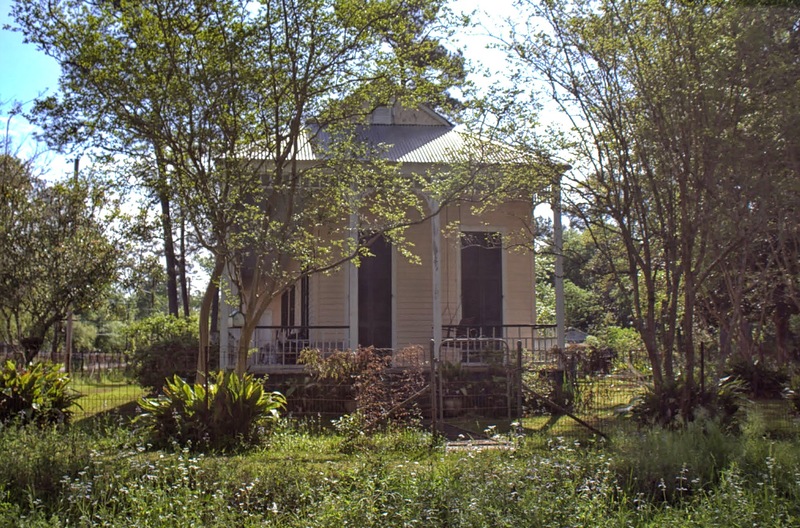 It is typical of the cottages in Abita Springs, Louisiana. *Due to the fact that my US home is not surrounded by high walls, wrought iron and an electrified fence as was the case in Honduras, I am not displaying the exterior of my home. Please see first paragraph for explanation of my utter ambiguity. Well, this isn’t too bad. I like it. Maybe some more interior shots can come our way. No bad people could use them to find you with those. Truth is, if I lived in the U.S. I wouldn’t post exterior shots either. It’s far too easy to find one another here, and there are far too many gun-carrying crazies running around these parts. I am not going to post something that I may regret. I don’t find my house’s interior to be very interesting, thus no pics. I am not certain where I come down on the exterior shot business. When I lived in Salem, I published most of the details of my place there. I may even mentioned the street name. But it was also distinctive enough that a lot of people in town could have directed people there. It never bothered me. But the world is a different place now. I ave been rather free with exterior shots of my new house in Mexico, but, for the reasons you state, I have not revealed much. Even so, thanks for letting us see a portion of your living space. And I hope that dog of yours gets over his Louisiallergies. I have had a few bad experiences with wannabe suitors when I was in my 20s and 30s who sometimes followed me home even when I made it clear they were not welcome to do so. I am not anticipating more problems, but why invite trouble? I found you on Facebook. Now, once you accept, perhaps we can exchange more personal information, such as the pic of your house freshly painted. I’m glad to picture you someplace….you gave us enough to use our imaginations! I’ve been a bit slow on commenting, but I think about you. Your posts always make me think. And I like how you think. I’m not a writer, but I have always wanted to comment on your post about facebook and all the people who wished your dog well. i cherish people more than pets, but sometimes it is easier to write some thing quick about hoping your dog gets better, than to try to put into words how we feel about a persons hardship, whether it be illness, financial, or relational. I can “like” a dog picture on facebook, with out too much thought. When my friends and family are struggling, I sometimes struggle with words. And I have the opportunity to pray. I look forward to hearing about your trip and your employment! Hi Anita, thanks for the comment. I agree that it’s easier to dash off a quick sentiment about a cute cat or puppy than reply to a more complicated human being. I am puzzling right now over a friend’s cancer which has returned.